It may appear that we are going somewhat off-topic with this post. Strictly speaking, Donkey Kong, the game that is Mario’s birth-ground, does not seem an appropriate subject for a blog titled beforemario. But it is not too farfetched, to state that without Donkey Kong this blog would not exist. And it is therefore more than appropriate to put a spotlight on Miyamoto’s premiere master piece; the start of my fondness for Nintendo, as well as the start of my collection. With that in mind – let’s dig in. It is not my intention to introduce or explain Donkey Kong. That would be silly. Unlike many of the Nintendo toys and games featured on this blog, I can safely assume that you know all ins and outs of the game’s origin, have played its four levels a zillion times, and watched The King of Kong more than once. Right? What I would like to show you instead, is my first – ever – Nintendo game. The first piece of what would become a mountain of games. The first snowflake of an eventual collecting avalanche. Let us rewind three decades of time, to the Summer of 1982. For months, I had been pumping quarters (well, actually, guilders) into Nintendo’s arcade revelation Donkey Kong. Now, I must admit that I had never really liked the Atari VCS 2600, which was the big home video game daddy around that time. I had played it occasionally, but could not get over the difference between its game play and what was on offer at the arcade. As a result, it never made it to my ‘must have’ list. I remember seeing Atari’s home conversions of Space Invaders and especially Pac Man (two of my favorite games at the arcade) and not warming to these versions at all. Then one day, I walked into a toy store, and saw a stack of brochures laying on the counter. It featured a new game console about to be released: CBS’s ColecoVision. Inside the brochure, three pictures told a clear story, with a simple side-by-side comparison of the three home versions of Donkey Kong, for the ColecoVision, theAtari 2600 and the Intellivison. 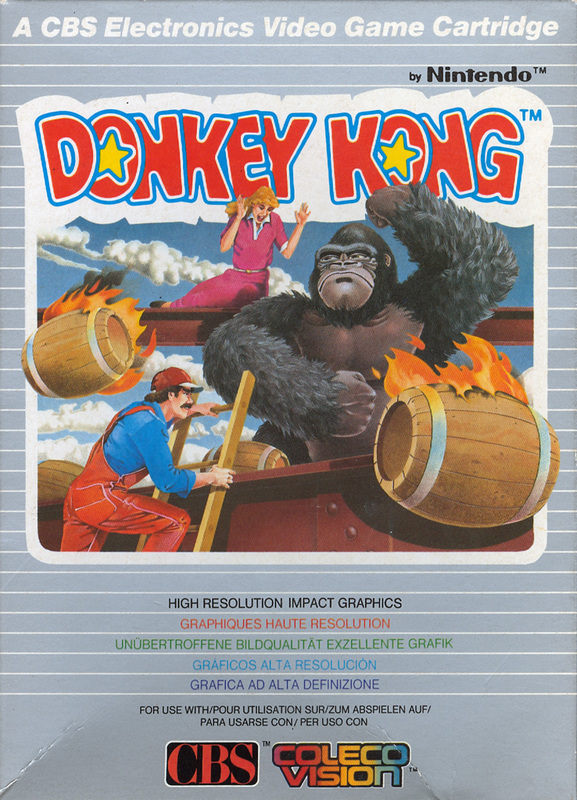 The ColecoVision version of Donkey Kong was no pixel-perfect conversion either. The first level, for instance, was missing one platform (it had five, instead of the original’s six). And more was missing, as I would soon find out. But it was close. Initial amazement at the feast of color and sound was suddenly replaced by confusion. After three levels the game started again at the first. Wait a minute… where is the factory level? The before Mario blog showcases the toys and games Nintendo created in the period from the mid 1960s to the early 1980s. Starting with the first board games up to the launch of the Family Computer in 1983. Most items featured on this blog are from my personal collection.